Galaxy formation simulation in "Dark." Photo courtesy of University of Western Australia. Mueller Planetarium in the University of Nebraska State Museum's Morrill Hall has announced its updated fulldome schedule beginning Oct. 25. The schedule includes the new fulldome show, "Dark," which explains and explores the nature of dark matter -- the hidden 80 percent of the mass of the universe. "Dark" will screen Saturdays and Sundays at 2 and 3 p.m. beginning Oct. 28, except the Saturdays of Nebraska home football games (Nov. 10 and 17). The National Geographic fulldome show, "Sea Monsters," will screen at 7 p.m. Thursdays beginning Oct. 25 (except Nov. 22, when Morrill Hall will be closed for Thanksgiving). Following "Dark," there will be updates on the current night sky and NASA's Mars rover, Curiosity. The show follows Alan Duffy, a young astronomer from the International Centre for Radio Astronomy Research at the University of Western Australia, who creates simulations of dark matter evolution inside supercomputers. 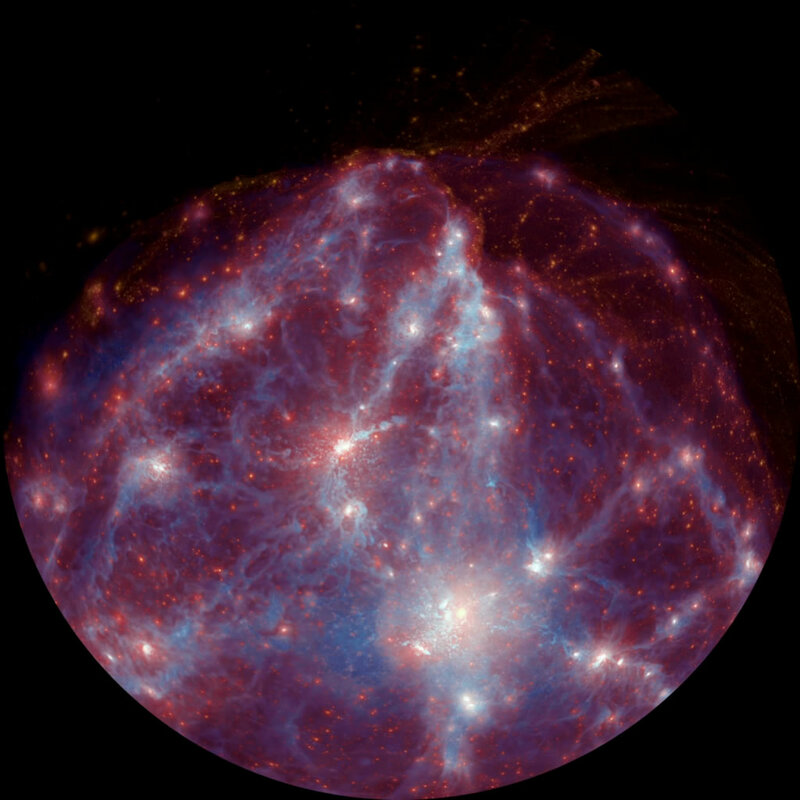 Duffy introduces audiences to the idea of dark matter, and explains why astronomers think it exists and why radio astronomy is so well-suited to its discovery. "We are the first U.S. planetarium to show 'Dark,'" said Jack Dunn, planetarium coordinator. "One of the producers of the show is Paul Bourke, who is the inventor of spherical mirror projection as used for fulldome at Mueller Planetarium." For more information, visit the planetarium's website, www.spacelaser.com. The University of Nebraska State Museum (Morrill Hall) and Mueller Planetarium are south of 14th and Vine streets on the University of Nebraska-Lincoln City Campus. Parking is free. Planetarium tickets include museum admission and can be purchased at the museum's front desk the day of the show. Admission is $9 for adults (19 and older), $5.50 for children, and $3 for UNL staff, faculty, and students with valid NU ID. For more information on the museum, visit www.museum.unl.edu.